SPARKLE PLUS DTG PRINTER v2.1. For those with an entrepreneurial spirit and drive, direct-to-garment (DTG) printing can open up a world of business opportunities. A DTG printer uses digital inkjet technology to print directly onto textile substrates, making it a cutting-edge T-shirt printing machine. Even though this technology is fairly new to the industry, its already been welcomed by printers due to the incredible benefits it offers small businesses. Below are four of the most impressive advantages of this technology. Its no surprise that customized items can cost a pretty penny. 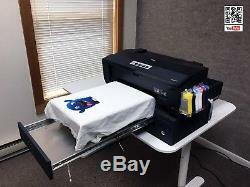 Plus, the cost of the equipment is much lower than other inkjet technologies for a startup model and heat press. Screen printing is less than ideal for quick, short-run orders or items that will require a lot of color variety. This is because the process involves a good amount of upfront labor and skill to set up, execute and finish. On a one-at-a-time basis with a manual press, someone is needed to push the ink onto the garment through a mesh screen with a squeegee or blade, and only one color can be done at a time. Creating one or two T-shirts on short notice with screen printing is more of a pain than a profit. As a digital process, DTG printing requires little to no setup. This makes printing short runs quickly and on-demand much easier because theres a lot less time-consuming manual labor involved. All you need is a digital file from the customer and youll be able to print small batches of fully customized, colorful garments. Compared to traditional screen printing, digital inkjet printing can produce a higher quality product especially on a short run order. Printers can fire much smaller droplets of ink, meaning the level of detail is higher and DTG printers can easily create gradients and other types of color transitions that screen printers often struggle with. As a general rule of thumb, if youre printing any more than 25 one-color items, 50 two-color items and so one, it may be more efficient to use a screen printing process. This is because screen-printing expenses are based largely on the setup process, meaning longer print runs will reduce the cost per piece. Screen printing can require inks that contain phthalates, PVC or other chemicals. Because of this, many leading DTG printer manufacturers like Brother and Epson have gone the extra step to become OEKO-TEX 100 certified, which means the water-based inks, cleaning solutions and the overall processes are environmentally safe. This gives operators the confidence of knowing that the chemicals they are working with are safe for their customers, especially children. While DTG printing isnt at the level where it can replace screen printing yet, it can still complement existing businesses. Let your screen printer handle your long runs while a DTG printer takes care of short, on-demand jobs. Together, they can help you build and sustain a profitable garment printing business. The Printer 100% based on EPSON printer, so electronic parts, and mechanic parts are the highest quality as any other Japanese product. The base and electronic parts for the base made in the USA. By specifications, the printer can be compared with Anajet Sprint DTG printer. 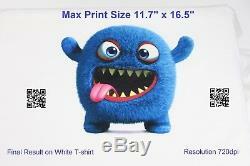 Max printing output picture size 11,7" x 16,5" (A3 paper size). Platen (or garment holder) is adjustable and can be used for thin or thick garment (0mm - 2mm). The printer work with any DTG ink brand: DuPont, Firebird etc. 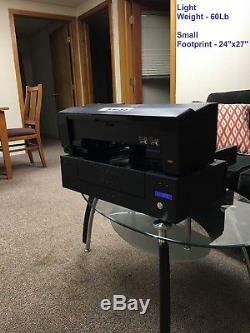 The printer on the pictures was built for one of our customers. Here what he wrote about the printer. I absolutely love the design work!! The printer is lighter than I expected, even put together! You, my friend, do excellent work! YouTube Demo: search for "Sparkle Plus DTG printer". This printer has the following features. 11,7"x16,5" (or 297mm by 420mm). Printing on LIGHT COLORED garment. Printing on DARK COLORED garment. Printing on kids size, baseball caps, pockets or sleeves. You can order additional garment holder (platten) and during the main printing, you can prepare second garment holder for the printing. This can increase overall printing productivity 1.5x times. 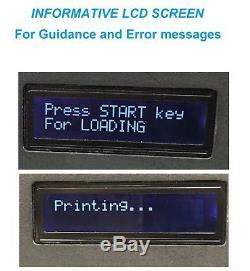 User-Friendly and Informative LCD screen build in DTG base. Printer Head Laser Protection System. YES blue visible laser will illuminate the garment problem area for 5 seconds. The system preventing t-shirt from jamming. 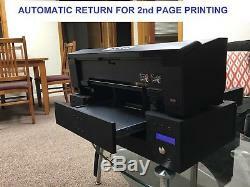 Automatic return for 2nd Page. YES the DTG printer automatically recognize 2nd page to and automatically re-load t-shirt for the second layer. The printer can print multiple layers as well. 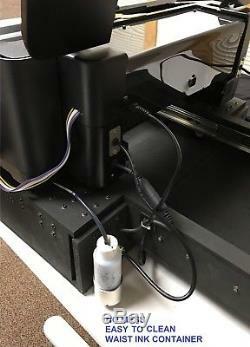 Continuous Ink Supply System (CISS). No mess, easy to remove, waste ink container. DTG rip software - included. The Printer will be made to order please notice - production time is 3 Weeks. 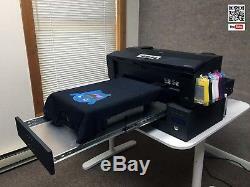 TO START A NEW DTG PRINTING BUSINESS YOU NEED. DTG INKS (4 colors + White) minimal 100ml per color, 200ml - white color. Pretreatment liquid (requires for any non-white, colored t-shirts). 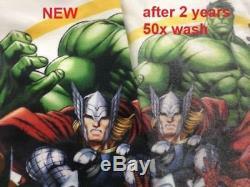 Print Head cleaning solution (500 ml). 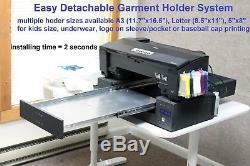 Additional Garment holders if you planning to print faster. Kids size, baseball caps, pockets or sleeves. DTG RIP Software with white ink support (like included in this sale AcroRip). The item "Direct To Garment Printer (DTG Printer or T-Shirt Printer) Sparkle Plus DTG" is in sale since Wednesday, December 2, 2015. This item is in the category "Business & Industrial\Printing & Graphic Arts\Screen & Specialty Printing\Other Specialty Printing". The seller is "diapost01" and is located in Frisco, Colorado.